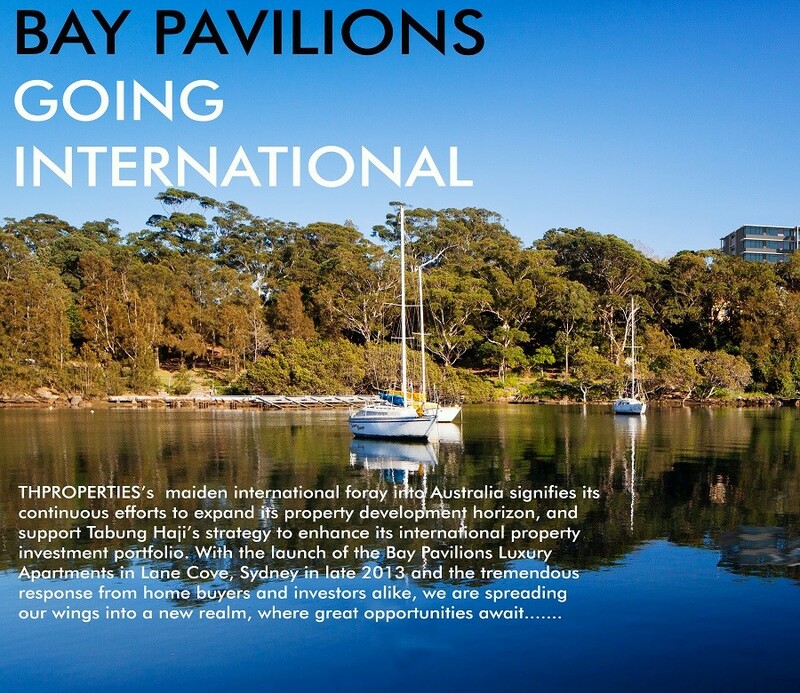 The Bay Pavilions project marks the first collaboration between THPROPERTIES and the Piety Group. With over 20 years of experience and expertise in the construction and development industry mainly in Sydney, the Piety Group has delivered notably successful projects such as an upmarket residential project in Waitara, Sydney, which was partly funded by Lembaga Tabung Haji through its subscription in the Shariah compliant Waitara Property Fund. This 50:50 joint venture is envisaged to create high profile, distinctive projects through strong partnerships, innovative design solutions and cutting-edge construction methods spanning over 30 years combined development experience. With this partnership, THPROPERTIES hopes to create its presence and gain valuable experience in Australian property development.